The Google Assistant is an artificial intelligence program which is powered by virtual assistant and developed by Google. You can use Google Assistant voice command to read phone text messages, open your WhatsApp, Call to your friend and many more. This voice feature is primarily available on smartphone and smart home devices. Google Assistant able to read recent incoming messages. It is most advanced and dynamic feature of Google. Just like Apple’s Siri, when you says “OK Google” voice command activated your device, send and check messages, set events and many more. Google Assistant allows you to quickly search any topic on Internet, set alarms and meeting schedule, check required information from the user’s Google account. Google has also announced that the Google Assistant able to identify objects by collection visual instruction from your phone device, playing the songs and may more. When you are travelling from one location to another via car or bus, watching movies or any other situation where you are not able to pickup your phone. In that situation if you received any important message, then you can check your phone messages without watching your phone screen with the help of Google Assistant. You can easily read any text messages via speaker or headphone at your Smartphone. If you have Android OS 4.4 or above version at your device, then you can use Google Assistant to operate your phone with the voice command. After open Google Assistant, you just say “OK Google” then you will get replay if voice command enable at your device. Step 1: First check your device do you have Android OS 4.4 or above version at your phone device. If yes and don’t have this feature, then download or install Google Assistant at your device. Step 2: In-front of mike speak “OK Google” or “Hey Google”. Now, you receiving reply from Google Assistant i.e. voice command activated at your device. If you don’t received any replay then you have to enable voice command. To enable voice command go to Google Voice Command under Settings in the Google app. Step 3: Now, say “read my text messages” to launch the feature. Now, your device check and read recent received last five messages. What is the Google Assistant, how can you use it ? Google Assistant is an intelligent personal assistant. Google Assistant is developed by the Google. It’s your personal Google which is already ready to help you. 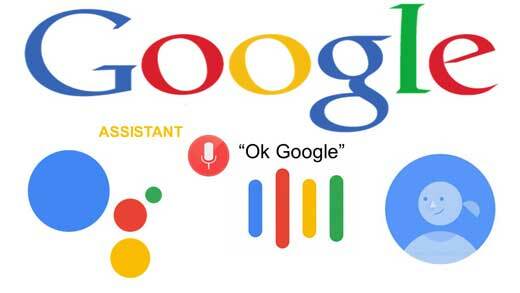 In this guide we have to discuss What is the Google Assistant, how can you use it ? The Google Assistant is currently integrated in the Allo app and available in Preview Edition. This is integrated with the Google Pixel. You can read given easy and safe tutorial for enable Google Assistant on Marshmallow. Google Assistant is an intelligent personal assistant which allows you to ask for any query and provide the required result.If you don’t want to keep continue with Google Assistant then you can easily disable Google Assistant from your Android phone.